It’s a bird, it’s a plane, it’s really rad UV reactive yarn! Oh no, you didn’t. OH YES, we did! 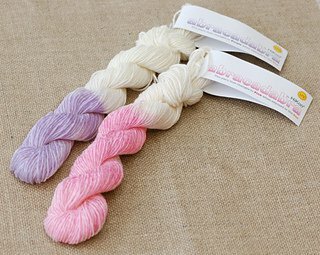 The hippest thing since platform shoes is this trendy new yarn for knitters and crocheters. You’ll amaze the whole posse when you step into the daylight and your sweater comes to life, changing from cream to vibrant pink, purple or blue!